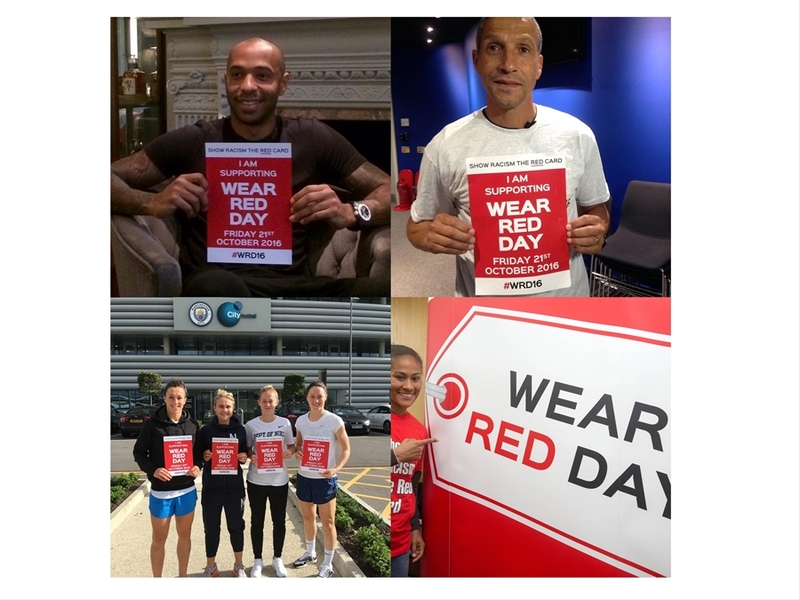 People are getting involved all over the UK and lots of trade unions have pledged their support, with members of USDAW, The NUT, Unite the Union, PFA, GMB, Nautilus, Equity, Musicians Union, Prospect, BECTU, NUJ, TUC and PCS, set to wear red and donate. "With a rise in hate crime post referendum, the work of Show Racism the Red Card is so incredibly important. GMB never has and never will let racism go unchallenged, that's why we're proud to wear red today to support the organisation and the message. Members will be raising funds and organising events across the country. We encourage everyone else to do the same and get behind SRtRC to show everyone, everywhere that we say 'no' to racism." "The PFA are committed to targeting Racism, Discrimination and Intolerance in our society and the support of our members including current and former players is key to this message. Education continues to be at the heart of the union’s work as we look to influence and effect positive change in our communities and the heightened significance to Show Racism the Red Card."